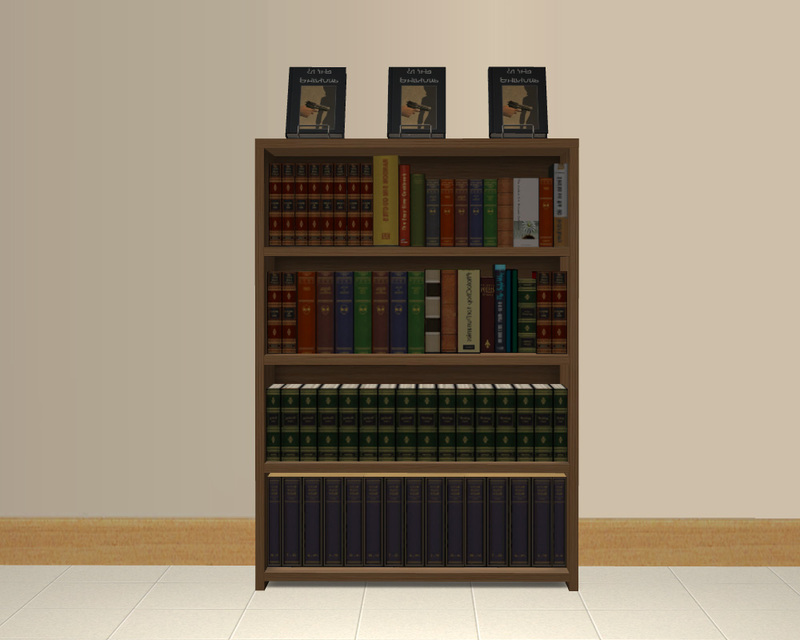 As requested by Rebalynn1960, a short dahlen bookcase with the books in it. 3 deco slots on top. Edited 2018, made the animation strings fit the bookcase (no reaching to the sky to get a book from a shelf that doesnt exist) and added a freetime and up version. Very useful, must admit to not liking to place all those deco books. Well look at that. It's lovely! I especially enjoy those deco slots. Thank you, Lee.